The resolution includes the relevant requirements for production and quality. Therefore, we suggest to work with manufacturers that have permission from the company CHIC. According to different companies, it costs from 100 to 200 thousand RMB ($1530 thousand). But in China, also many manufacturers who do not have this permission. While some produce hoverboard good enough quality and the other products are not even tested before shipping. It all depends on the culture of a particular company. Price dispersion in the market is very large anyone who is just starting to be interested in the purchase of hoverboards, immediately drew attention to the fact that prices are very different. Hoverboard company CHIC are much more expensive than similar hoverboard other Chinese factories, regardless of the license. This is due to the quality components used and expenditure on research and development work undertaken by the company CHIC. Also of importance, the pricing policy of the company. To attract customers cost, many manufacturers of hoverboards save on components, not produce quality control are not design improvements, hire unskilled workers. Another reason for the large variation of prices are the lowest demands for quality among Chinese consumers. The plants confirm that they produce the same model in two variations: for the Chinese market and for export. Foreigners are more demanding, and manufacturers take this into account. But if the customer does not pay attention to the quality, or are not going to the product, then it is likely to obtain a product of quality similar to that designed for the Chinese market. How many models? Very often we get request to the model of Smart or Smart Balance Wheel. It so happened that one of the plants ordered the box with this inscription, and all the other manufacturers just started to copy them. They were made for the American market, but then and in other countries hoverboard went with these boxes. It was easier and cheaper. Not an exception. Due to the wide spread of this box, many people think that Smart is the name of a particular model. However, in fact, it's just someone invented the name written in the frequently used box. Most often in a package sold by a model with a wheel diameter of 6.5 inches. Chinese factories make up the names for different models. Usually it's just alphanumeric characters like N3 or A5. Foreign companies often enter their own names, but that's just part of marketing. 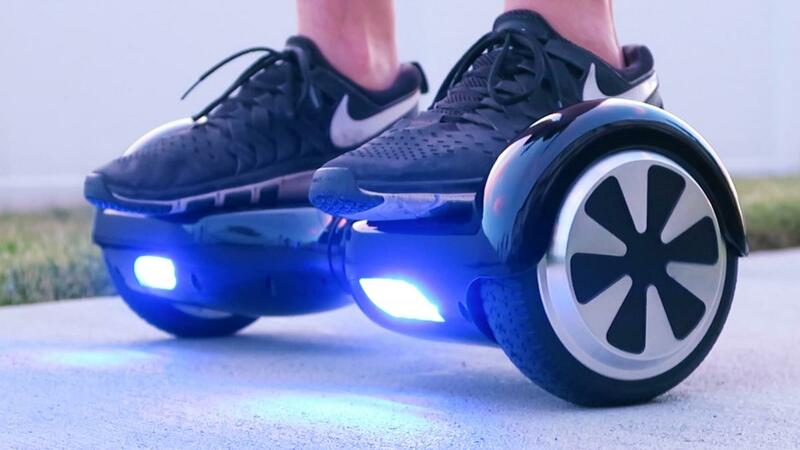 If you omit the technical part, in fact hoverboard differ only with design and wheel size. In principle all one and the same. The most common model with a wheel diameter of 6.5 inches, but, in our opinion, more convenient to use this model with the 10 inch wheels, because they are more stable, better ride on uneven surfaces and can overcome small obstacles. Battery is one of the most important parts of hoverboard Battery is the battery life of your hoverboard, as well as one of the most expensive parts. Many manufacturers and sellers of hoverboards claim that use batteries Samsung or LG, and the Chinese battery is poor, better not to use them. Remember that Samsung and LG do not produce the final product. They produce a lithium ion 1860 (similar to batteries), which are used when creating batteries for hoverboards. It is also a common opinion that Samsung makes the best components, but few people know that in China there are three kinds of elements from Samsung, and they differ in characteristics. This is due to the fact that Samsung has three different production in Asia and the best of their items are imported. But imported items are more expensive, and often the Chinese use those cheaper. So if the battery is the inscription Samsung, this does not mean that it is made by Samsung. It may be due to the fact that the inside elements are used to Samsung, but in this case there is the probability that the elements themselves are Chinese fake. Thus, many producers and sellers simply cheat their customers and write the words Samsung and used inside conventional Chinese elements. Fair factories often suggest just use high quality rechargeable batteries in the Chinese elements. So you do not overpay for the brand and get a good quality battery. Now, Chinese manufacturers are doing a decent lithium ion cells to the main Assembly of the batteries themselves were of good quality. It is often due to incorrect Assembly of the batteries fail. The most important parameter, which needs to pay attention to is the battery capacity. This indicator significantly affects the final cost of the device and the usage time of a full charge. Battery capacity should be consistent with the stated indicator. The standard is a 4.4 Ah (or 4400 milliampere/hour ). The Chinese often claim inflated figure. To check the accuracy of the characteristics is possible only with the help of multimeter.